Atlas Stageworks Lighting (ASL) stocks a variety of equipment for last-minute production needs, including gel, cables, and tape. We welcome walk-in customers during our regular business hours, 9am-5pm, Monday-Friday. If you would like your sales order prepped and waiting at the counter, please call or email ahead, Johannah Shepard, Sales Manager, at johannah@atlasstageworks.com or by phone at 919-839-2288. We are very responsive to customer demands and can stock additional items for which you have an ongoing need. ASL is a dealer for many manufacturers, providing systems consultations, installations, and service for all equipment that we sell. ASL often has available for sale used equipment from our inventory. We help clients create and order custom gobos for productions, weddings and other special events. See below for more information. 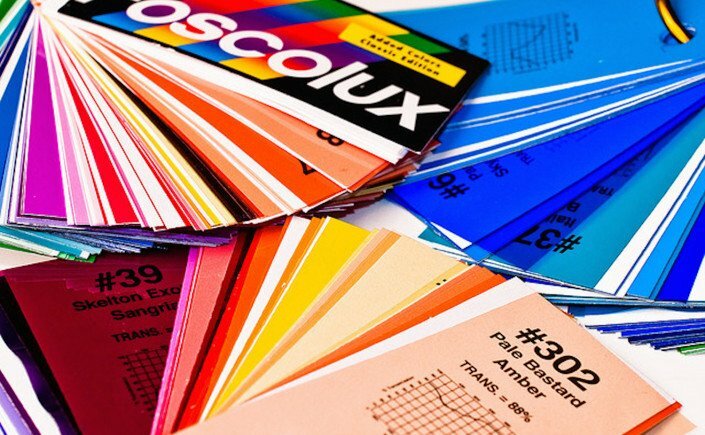 We stock hundreds of colors of sheets from Rosco, Lee and GAM. Rolls are available by special order. Custom Gobos: To project your logo or original design, we can have a custom gobo made in steel or glass to fit a variety of fixtures. If you are interested in a custom gobo, please contact Johannah Shepard, our Sales Manager, at johannah@atlasstageworks.com or by phone at 919-839-2288. You can learn more about the guidelines for a custom gobo order on the Rosco website.